It’s that marvelous time of year again here in Omaha. A quick check of Hotels.com shows the nearest hotel with a room available for less than $150 a night (usually commonplace here in Omaha) was the Super 8 in Fremont, some 36 miles from downtown. 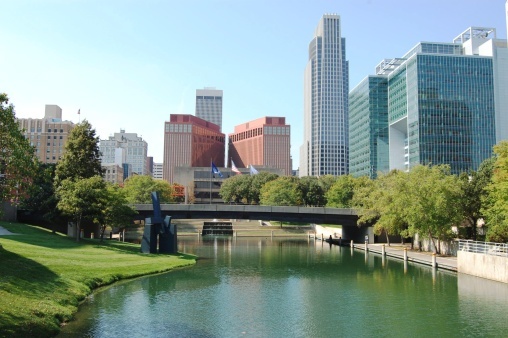 Starting today, around 35,000 plus followers will descend upon Omaha this weekend to listen to our famed Oracle and explore our city. It looked as though at first they may be coming as an angry mob – at the time of Buffett’s widely-read shareholder letter, Berkshire stock had underperformed the domestic market the prior year and year-to-date. Apparently, investors liked what they read, and since the letter’s release Berkshire stock has surged some 11%. In fact, since the inception of Berkshire’s B-class shares in 1996, first quarter 2014 has seen the highest excess returns for Berkshire stock. Investors must either like the letter, or want to get tickets to Omaha! Enough with the Berkshire fun facts, let’s get down to business, the kind of business Buffett seems to love buying – high quality business. Buffett is notorious for Value investing, however recently a paper by AQR Capital Management showed that Buffett’s success actually had more to do with Quality than Value. Quality has been a theme that has emanated through many of our strategies here at CLS. So much so, that we launched a strategy dedicated to investing in high quality companies. Just how quality are we talking here? 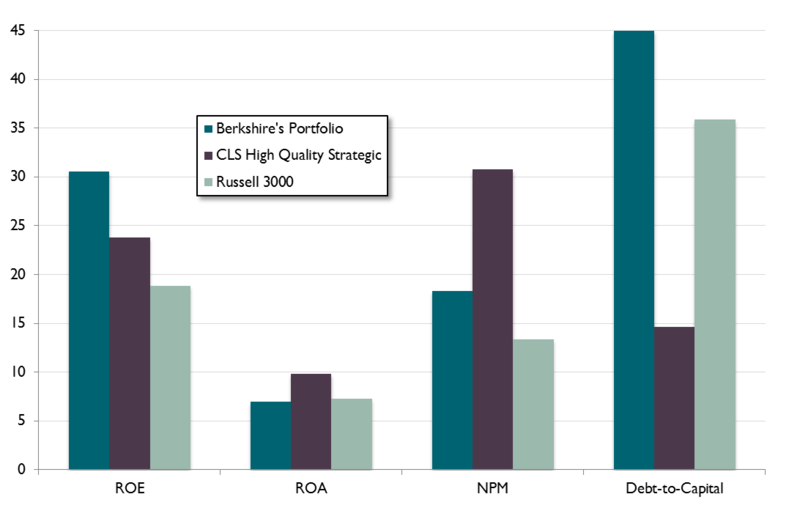 Well compared to Berkshire’s portfolio of investments, the CLS HQS models fair very well. In fact, of the four primary quality stats shown below, the CLS HQS models have the edge in all but one – Return On Equity – one of Buffett’s primary data points. High quality investments are investments in securities issued by companies with the propensity for higher than average characteristics including higher and more consistent profitability, stronger balance sheets, and higher dividend growth. The primary diversifiable risk is opportunity risk.